Meeting more often one-on-one and asking these four questions will keep you and your staff on track and in the loop. 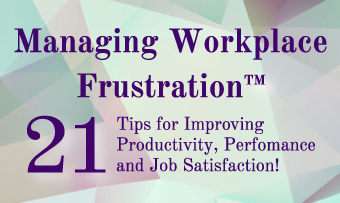 Prevent employee problems before they get out of hand. Never Underestimate the Importance of Effective Communication! How to turn off your inner critic to have more successful communication. What's the Point of Your Conversation?